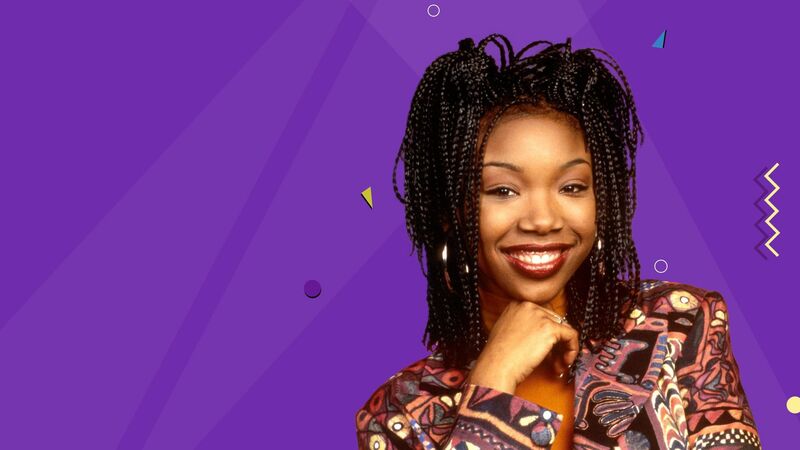 Here's where to watch every episode of Moesha season 6. Mouseover or tap an episode to see where to stream it. Click or tap the play icon to stream it on the best available service. On the Rebound Sep 4, 2000 Moesha prolongs her stay in New York and finds her relationship with Q deepening. But when Q's tour interferes with Moesha's future, she decides she'd rather go back to the way things were and return home. Afraid of the fact that he might lose Moesha again, Q proposes to her. Back in California, Dorian returns home from boot camp and has proven to the family (and himself) that he has changed his old habits. But when Frank immediately approaches Dorian with a contract from boot camp explaining if Dorian doesn't abide by the rules of Frank, he can be permanently removed from the house. Upset that Frank would approach him with the contract so soon, Dorian signs the contract and backs out on Frank's plans to go fishing. Instead Dorian makes plans of his own to meet with ""Nice"" to give a ""beat-down"" to a boy who stole ""Nice""'s bike. Also, Hakeem and Niecy are left wondering how Moesha will treat them when she returns home. Bad Company Sep 11, 2000 Moesha returns from New York with a secret that she wants to keep from her parents. Hakeem and Niecy attempt to make amends with her. After learning that Moesha and Q are now back together, Hakeem surprises Moesha with a emotional poem and a ""promise ring"" (in which he hopes that she'll forgive him again). Meanwhile, Dorian is still trying to earn Frank's trust when he dates one of Frank's mentors named Cleo who isn't the angel that she appears to be. Also, Dee prepares to leave for Jamaica for her education-consulting job. Netcam Sep 18, 2000 Alicia hides an Internet camera in Moesha and Niecy's bedroom for profit; invading their privacy and showcasing them to the entire world. After Moesha receives a gift from Japan sent by Q, Hakeem tries to win her back with gifts as well. Meanwhile, Myles thinks he got a girl pregnant by dancing with her. Living in Paradise? Sep 25, 2000 Moesha can't stand the nasty and rude habits of her suite mates Niecy, Alicia and Brenda. So she tries to organize a meeting to establish ""the rules,"" but a nearby appearance by the singing group Boyz II Men hurts attendance. Meanwhile, Dee returns home from Jamaica but has to break the news to the family that she's decided to stay in Jamaica full-time to work on her education-consulting job. You Say He's Just a Friend Oct 2, 2000 Hakeem and Niecy suspect that Moesha is creeping around with Jamal, her study partner. After going out on a date with Jamal, Moesha later stays the night with Jamal; leading to major suspicion between the two. Also, Moesha receives gifts from Q and a video-message from Khalib stating that he misses her and wants to keep in touch with her. Meanwhile, Dorian turns Frank's kitchen into a barbershop. Just the Two of Us Oct 9, 2000 When Frank and Dorian leave on a road trip to Las Vegas, Myles is sent to stay in Moesha's dorm where he develops a crush on Alicia. But Alicia lets Myles believe that she likes him and uses Myles to run errands for her. Meanwhile, Frank and Dorian, on their way to Las Vegas, try to resolve their conflicting issues toward each other. The Nutty Moesha Oct 30, 2000 In this hilarious Halloween episode, while trying to juggle studying, taking care of her family while Dee's away and planning for her Halloween party, Moesha, along with Niecy, starts using energy-raising vitamins to help her with mid-terms, but the vitamins cause some peculiar side effects. Meanwhile, Dorian becomes a dog trainer for a neighbor's dog named Frisky. But when he can't seem to keep the dog from barking and growling, things get ugly. The Candidate Nov 6, 2000 NAACP president Kweisi Mfume visits Moesha's campus to address to students about the importance of voting. When Moesha's former Girl Scout leader gives a speech on her candidacy for city council, Moesha, Hakeem, Niecy and Jerome are convinced to help her campaign. But when her interaction with Hakeem proves contrary to her projected image, the volunteers are forced with a tough decision. Meanwhile, when a mother of Myles' classmate finds out that Dee is out of town, she wastes no time making her move on Frank until neighbor and good friend Nikki Parker steps in. Also, Moesha accidentally tells Hakeem that she's engaged to Q. All This and Turkey, Too Nov 20, 2000 After a three-month separation, Q comes to visit Moesha, along with Khalib, for Thanksgiving. Dee's father, Arthur Loving, visits as well and brings along with him his grudge towards Frank. As Moesha and Q make up for time spent apart, Q makes an odd request involving her engagement ring. (Q needs the ring to help finance some new rap group he's producing.) Khalib advises his help and concern for Moesha and offers to lend them the money. But when Moesha tells Q the news, he overreacts; leading to the end of their engagement. The Player Dec 11, 2000 Moesha tries to set up Niecy with Hakeem's friend, Troy, but problems occur when Moesha learns that Troy is Alicia's boyfriend. Meanwhile, Frank leaves Dorian and Myles home alone for the first time. All Grown Up Jan 15, 2001 Hakeem gets his first apartment with roommate Jerome. Moesha and Niecy stop by and they all reminisce on the times they've spent together from their teen years to adulthood, including Hakeem's frequent visits to the Mitchells' home, Kim's obsession for him, and his romantic relationship with best friend/ex-girlfriend Moesha. Run, Mo, Run Feb 5, 2001 Moesha fears for her life after openly criticizing a poet at ""Poetry Night at The Pendulum."" Meanwhile, Dorian starts a new job working at a recording studio, but Frank thinks that all of Dorian's long hours at work may affect his schoolwork. After an argument between Dorian and Frank, Dorian secretly tries to search for his birth mother. He asks for Moesha's help. After she reluctantly decides over night, Moesha agrees to help Dorian. By helping him, she retrieves Dorian's birth certificate stating his mother's maiden name: Barbara Dolores Lee. Mom Feb 12, 2001 Moesha continues to help Dorian search for his birth mother. Hakeem thinks that Moesha shouldn't go digging up the past or she'll be faced with the possibility of a painful past. She assures Hakeem that she realizes the consequences but wants to continue the search for Dorian's sake. They notify a couple of women by the name of Barbara Lee. After tracking her down and learning that her actual name is Barbara Kennedy, Dorian becomes face-to-face with the woman who abandoned him. He learns that his mother also has a daughter, Reecy, and a son named Ray-Ray. When they all sit down and have a conversation, Barbara reveals some shocking news involving Moesha's mother, which Moesha can't accept. Angry and upset, Moesha leaves the apartment. Meanwhile, Frank is challenged to a race against Myles's friend's uncle. After winning the race, Frank's celebration is ruined when he learns that Moesha has been searching for Dorian's mother. That's My Mama Feb 19, 2001 Frank comes to visit Moesha at the dorm and confronts her about her attempts of helping Dorian find his mother. She explains to him that they both have to seriously talk. Later, Frank asks Dorian why he hadn't come to him first before seeing Barbara. Dorian tells him that he didn't want Frank to stop him and that he has his mother to count on now. Dorian visits his mother. When Barbara's sassy sister-in-law, Maya Wilkes, demands that she will not baby-sit for Reecy and Ray-Ray the same night that Barbara is expected to go out for the evening with her husband, Dorian volunteers to baby-sit, but discovers that they are more than a handful. Dorian tells Barbara that he should take his new relationship with her slowly after a few disagreements. Meanwhile, Moesha and Frank discuss the true facts about Frank's affair with Barbara and his rough marriage with Marguerite. What if...? Feb 26, 2001 Dorian is the perfect son and Moesha is a vagabond when Mo ponders what would have happened if Frank stayed with Barbara. Scary Marriage Mar 5, 2001 A class that calls on Moesha, Hakeem and company to examine gender roles in marriage leads to a disturbing experience for Moesha. Niecy isn't too thrilled about being partnered with Hakeem. Meanwhile, Dorian comes up with an inventive way to record a demo for his band. Saving Private Rita Mar 12, 2001 Moesha, Hakeem and Niecy must help a troubled student named Rita who is contemplating suicide. Meanwhile, Dorian courts a minister's daughter. Mayhem at the Jam Mar 19, 2001 Moesha organizes a campus concert with Hakeem, Niecy, Jerome and Alicia, but when the main act, ""Mayhem"", is late, Dorian's group ""What"" takes the stage to appease the crowd. But when ""Mayhem"" finds out that they've been bumped back, the result turns to a fight leaving Hakeem in the hospital. Later, Moesha realizes that she is still in love with Hakeem. Graduation Day May 7, 2001 Lenae tells Dorian that she has booked he and his rap group to attend a performance in San Diego and that they'll have to leave early, but Dorian's family is throwing him a graduation party on the same day. While trying to exit his own party, Dorian causes a stir which leaves everyone surprised. Frank and Dee confront Dorian and reveals that he wants to pursue a music career rather than going to college. Later, Dorian arrives at Lenae's house hoping that he could move in with her. But when she shuts him down, Dorian shows up at his last resort...Hakeem's apartment. Meanwhile, Hakeem lands in the doghouse with Moesha when he refuses to retrieve the spare key to his apartment from his neighbor Shania.